In the years following World War II, things slowly returned to normal in New Zealand. Soldiers returned home and settled back into regular life; and national sporting teams, like the New Zealand cricket team, got back together and started playing matches again. In the late 1940s, men and women would go to watch these events, men wearing hats and suits and women wearing dresses, hats, and gloves. Compare the pictures of common clothing from the late 1940s to what you wear now (i.e. in 2017). Are they similar or are they quite different? be wearing 65 years from now? Today I have chosen the kids style as it is more of me & I am still a kid. I would rather prefer the kids style as I've never warn hats like that, I've never seen myself wear a dress in 5 years & I really want to see what It'll be like to be in the 1950's as I've never been in those days before, ( Obviously ). I would also prefer the kids style as it is the kind of clothes I use to wear & is kind of how I used to dress up like. T - Shirts, Jeans, Track Pants, Overalls, Shorts, Leather Jackets, Jumpers, Vest, Suits, Skirts, gloves & much more other clothes that I just can't remember / name. So these kind of clothing I think people all around the world wear. After six long years of fighting, World War II finally came to an end in 1945. The entire country was ecstatic and parties were thrown all over New Zealand to celebrate VE Day (Victory in Europe). Imagine that you were living in New Zealand in 1945 and you had to plan a VE day party at your house. Who would you invite? What would you do to celebrate? Sausages, Chops, Meat patties, Steak & Lamb. The types of Vegetables we have on the Barbecue is Carrotts, Cucumber, Egg Plant, Avacado, Mushrooms & Corn. Beach Volley Ball, Soccer & build Sand Castles. After we finish doing all of that including to eat, everyone begins to have a 1 or 2 hour swim as well as to play on the playground. During this period, people struggled to find work both here at home and overseas. It was a really tough time for people living in the Great Plains of the United States because they were hit with a huge drought that lasted for most of the decade. Many crops were damaged and farmers were not able to make enough money to feed their families. Imagine that you were alive in the 1930s. What could you have done to help these families? On your blog, list three different ways that you could raise funds for families to help them buy food and clothing. Be as creative as you can with your fundraising ideas! So here are the list of three ways I would help families buy materials / objects / whatever they please to get. Thanks for reading my Offering a helping Hand. I really hope you enjoyed my blog post. Please stay tuned for more upcoming blog posts! In New Zealand, many people lost their jobs during this decade. Experts predict that as much as 30% of the population was unemployed. It was a very stressful time for families. 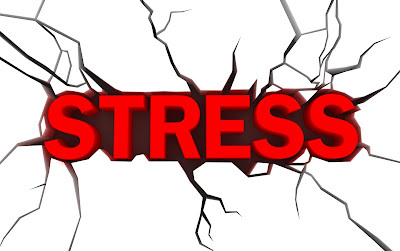 Sadly, many of us still experience stress in our lives to this day. When I feel stressed I try to go for a walk or pop into my local gym for a quick workout. Exercise makes me feel better. What about you? On your blog, please tell us what you do when you want to relax or de-stress. Do you read a favourite book, watch a favourite television show or talk to someone special? 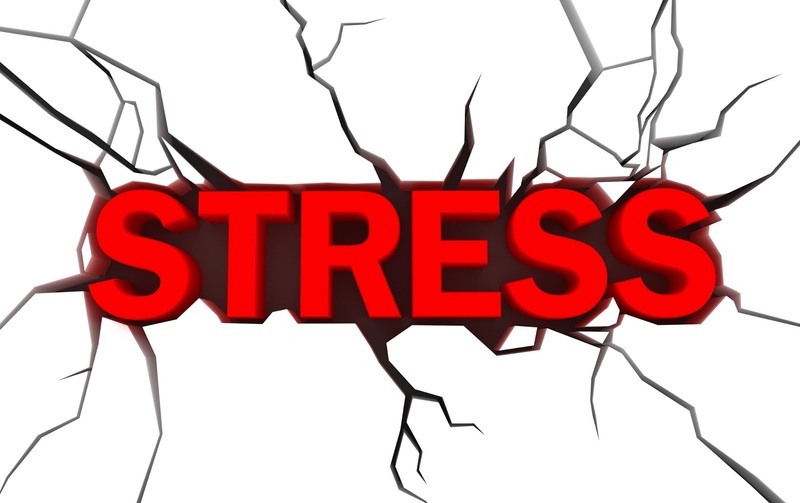 What are your tips for dealing with stress? What I do when I relax or de - stress, is that I either watch one of my favourite TV shows or lay down on the couch. The main TV shows I normally watch is either Shortland Street, Home and away, Neighbours or Robin Hood as it is my favourite brothers cartoon TV show. 2: Disturb the Movie / TV show we were just watching. When I am not stressed I either read a chapter book or even a comic book. I also have a mini talk with one of my close family members which is my incredible Auncle, his name is Jeremey. I also had a mini pep talk with him early this morning. So there we have it, here are most of the things I do when I am relaxing or de - stressing & how much I get so annoyed at kids when I am really stressed out. Thanks for reading my blog post about Dealing with stress. I hope you enoyed. Is any of this related to you or about you ? I hope use all enjoyed! The 1920s saw a massive surge in the number of people going to the movies. Huge new cinemas were built in both Auckland (The Civic Theatre) and Dunedin (Empire De Luxe). The most popular type of movies showing at local NZ cinemas were ‘silent’ films. Gold Rush is an example of an iconic silent film. It features a famous actor named Charlie Chaplin. Watch the trailer for Gold Rush. On your blog, tell us what you think the movie is about. There are no words spoken movie so you will need to pay careful attention to what the actors are doing! Do you think you would enjoy watching a silent film? Why/Why not? To be honest I would not like to watch a silent film that has absolutely no sound in it. I would also not like to watch a silent film as everyone around you would be disturbing, annoying & absolutely no chance for all of us to be focussing on the Screen / Television. This film was alright to watch but all we were missing was a bit of sound. co’ piece. Take a close look at the painting. Do you like it? On your blog, give the painting a rating out of 5 stars (1 star = terrible painting, 2 stars = pretty bad painting, 3 stars = okay painting, 4 stars = good painting and 5 stars = amazing painting). After you’ve rated the painting out of 5, tell us why you gave it that rating. As I am looking at this stylish painting I am really surprised on how incredible the painting looks like. So you might be able to guess what rating I am about to give the painting. Today I am going to rate this amazing, incredible & fabulous painting a 5 star rate. The reason why I choose 5 is because it looks so beautiful as if this was just someone in a car taking a picture. This looks so significant & incredible. Who ever drew this fantastic paintings I would love to meet you in person as you have drawn this with awesome pride. Awesome painting. g shortly after take-off and the rain and ice were so heavy that the pilot, Kingsford Smith, couldn’t see out of his front windscreen. Yikes! Fortunately, the plane made it all the way across the Tasman landing in Christchurch after a 14 hour trip. Imagine that you were a member of the flight crew. Write a poem that describes how you would have felt when you landed safely in Christchurch after such a long trip. Remember, there are lots of different types of poems, and they don’t all have to rhyme. You can read more about different types of poems by clicking here. cause they are all very lovely. In the mid-1930s, things began to change for the better in New Zealand. More people were able to find work and receive a steady paycheck. They were still careful, however, with their money and rarely, if ever, bought treats or gifts for one another. Imagine that you were able to travel back in time to visit a family in the 1930s. What special gifts or treats would you like to bring with you? I would likely bring blocks of Whittaker’s chocolate, bags of Jet Planes and Pineapple Lumps, healthy food snacks, clothing, and games for the children. What about you? If I was to go back in time I would want to take these kind of items to a family in the late 1930's. I would like to take these to people I haven't seen especially to people who have humongous families. These are the items, objects I would take to people back in the 1930's. For this activity, you are going to imagine that you are just like Dorothy and that you are working as a nurse on a large medical ship. start to run to where I heard the humongous bang. As I was running I could see & hear more bangs coming from the front of the ship. So I ran straight to the front of the ship, as soon as I got there I could see other doctors running & screaming as there were lot's of bombs shooting from out of the sky. Suddenly the Ship started to fall apart & everyone including me that was in the ship had sank. We were all in the middle of nowhere. Swimming to the closest near by there were 3 dolphins & 2 Whales coming our way, everyone was really scared as they all started screaming. As fast as I could I started swimming to the closest near by & 3 of the dolphins swam straight after me. We all thanked the dolphins but unfortunately 8 of us did not survive as the boat did sink & everyone fell in the deepest part of the ocean. We were so grateful to still be alive as the dolphins did save all of us. The dolphins were all great help & all of us said THANKS TO THEM. When World War II ended, a number of people from Europe moved to New Zealand looking for a peaceful place to live and raise a family. When they came, they brought recipes and foods from their native countries with them, including hamburgers, pizza and other delicious foods. I usually have a chocolate chip cookie with my tea. I love biscuits! What is your favourite sweet treat or dessert? Use google to find a recipe for it. Type the recipe out on your blog. Make sure you also include a picture. Set aside about 15 Oreos to line the sides of the trifle. Crush the remaining Oreos. Cut your cake into cubes, whip your cream, and make your pudding. Start layering the ingredients in a trifle dish or large bowl. Start with pudding, then alternate with cream, Oreos, pudding and cake. Layer until all ingredients are gone, and finish with whipped cream and some Oreos on top. Chill before serving. For this cookie & cream trifle we use a full package of Oreo's, a box of cookies & a cream pudding. Make your chocolate cake - use your most favorite recipe or make it from a huge mix. Crunch up about 20 Oreo's, leaving about 15 Oreo's to line up the trifle. Whip up all your cream to make the pudding. We all used the oreo pudding and then taste it. It is a really easy dessert to create for the whole family. Regular chocolate or vanilla pudding will work for this recipe as well. After the Treaty of Waitangi was signed, New Zealand became a British colony. Many other countries in the world are also British colonies including Canada, South Africa, Australia, India and Malaysia. As a group they were, and still are, called the ‘Commonwealth’ countries. Years ago, a man named Melville Marks Robinson was asked to organize a sporting competition for people living in the Commonwealth countries. It is called the Commonwealth Games. The first ever event took place in Hamilton, Canada in 1930. Athletes from New Zealand have competed in the Commonwealth Games for years. In the most recent Commonwealth Games event in Glasgow, Scotland New Zealand athletes won a total of 45 medals. The next Commonwealth Games will be held in 2018 in the Gold Coast, Australia. Hundreds of athletes are competing for the chance to represent NZ at the games (to 'Earn the Fern'). One of New Zealand’s gold-medal-winning Commonwealth athletes was a man named Bill Kini. Bill won a gold medal at the 1966 Commonwealth Games for being the best heavyweight boxer. He was a man of many talents! He played rugby in Ōtāhuhu in the 1960s and later moved to Whangarei. Imagine that you could interview Bill. What would you ask him about his time at the 1966 Commonwealth Games. What would you want to know? I’d like to know how he had time to train for two sports at once. As the new century dawned, New Zealanders settled into a period of relative calm. The calm lasted for about 15 years but came to a sudden end in 1914 when World War I erupted in Europe. The war lasted for almost five years and claimed the lives of 18,000 New Zealanders. It also claimed the lives of thousands of men and women from countries around the world. Every year, we remember these brave men and women on ANZAC Day (25 April). Many people go to a special Anzac Day ceremony where they read a special poem that was written for the fallen soldiers. The poem is called ‘In Flanders Fields’ by John McCrae. Read the poem. On your blog, tell us what you think of the poem. Do you like it? How does it make you feel? After reading that beautiful & fantastic poem It makes me feel so lucky to be having so much incredible Anzac people who risked there lifes for all of us. I feel safe to be living in a kind of Country like New Zealand / Aotearoa. It also makes me really sad as for those who risked there lifes to much & had past away in war. To all the families out there who had a family member participate in the war & had past away, I am terribly sorry for your lost ( I am honestly & really sorry for your lost ). I really think we should thank them all heaps as they went off to war & really fought for amazing / delightful freedom. I wander what you would have to say about this? What would you say & what do you think? At the turn of the century, there was agreat deal of construction happening in New Zealand. in Dunedin. St Joseph’s Cathedral is just one of hundreds of beautiful cathedrals around the world. located, when it was built, and how long it took to build. 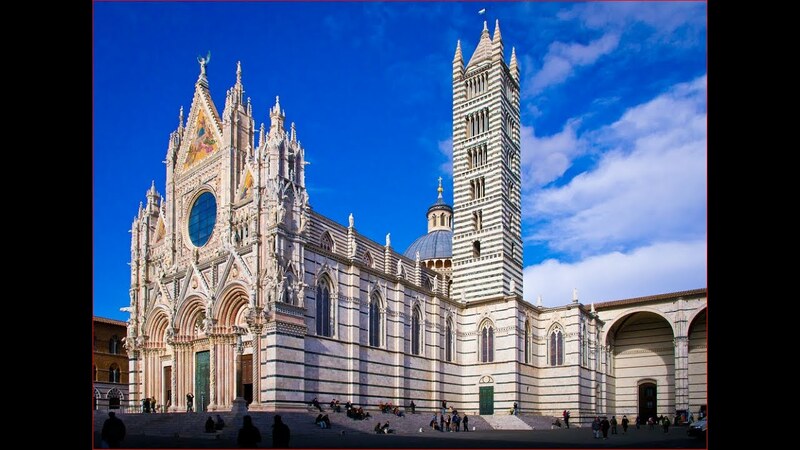 is located in Piazza del dumo which also includes the Giotto’s Campanile and Baptistery. Cathedral one day as it looks just like a museum but a lot bigger. At the turn of the century, New Zealand elected its first ever government. Richard John Seddon served as the leader of the Liberal Party from 1893-1906. Prior to 1893, only men were legally allowed to vote. This all changed in the late 1800s when a woman named Kate Sheppard lead a suffragist movement in New Zealand calling for a change in law. Her hard work finally paid off when the Electoral Act was passed into law on 19 September 1893, giving women the right to vote. New Zealand was the first country to give all women the right to vote. There were still countries in the world (e.g. Saudi Arabia) who, until recently, did not allow women to vote. Saudi Arabia until 2015. Is it fair? Why or why not? people & not just therself, because everyone matters. and especially Christmas. Christmas is one of my favorite days of the year as well as New Years. This year has been amazing & I really enjoyed myself. Merry Christmas & Happy New Year everyone. I have had so many presents bought to me this morning by my parents, friends, Uncle, Aunt & my lovely Nan. Love use all heaps. Merry Christmas may happiness, gladness & joyfulness lead your way. I hope use all enjoy Christmas & that you make your family feel more special more than you make them feel special all the other days. God bless you all. As you already know it is the day to enjoy yourself, have heaps & heaps of fun, enjoy opening your presents & may you just have heaps of fun as it is Christmas day. Here in New Zealand was held a huge Kapa Haka festival which always happens every two years. best teams would win the prizes. This year's gold medal winners for 2017 were the Te Kapa Haka o Whāngārā Mai Tawhiti. Here are a few video clips performed by the Matatini Kapa Haka group! youtube & from my incredible whanau. My 2 most favorite waiata is Tiaho Mai Ra & Ka pioioi. both waiata’s because it is fast to learn the lyrics & especially the actions. see many games pass down for many generations? of the game, and (iii) two rules. playing Poi Rakau will have to be standing in a circle holding a pou ( a pole each. 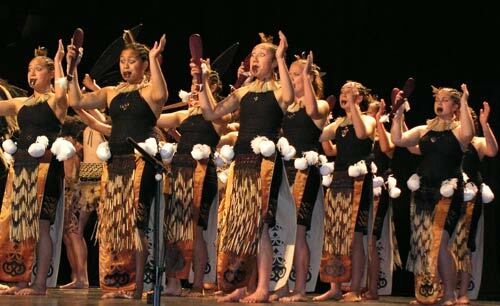 My ever first time playing Poi Rakau was when I was a year 4 at Pt England School. participated in this in a very long time. 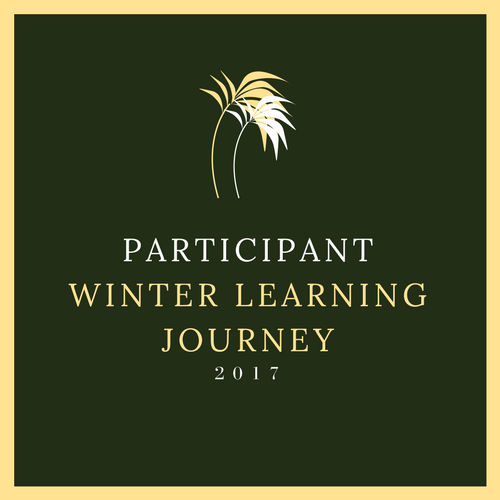 WK 1: In the Beginning, SLJ! Bonus Activity: Fun Family Facts!